The Alberta government brought its contested proposal for Bighorn Country provincial parks to Edmonton on Saturday, a month after it was briefly cancelled by the Environment Minister. The Alberta government brought its contested proposal for Bighorn Country provincial parks to Edmonton on Saturday. Environmental organizations praised the plan for the legislated protections it could bring to animals and vital headwaters in the eastern foothills of the Rocky Mountains. Other people were concerned the proposed parks would limit the ways they currently enjoy the land west of Nordegg. Rick Blackwood, an assistant deputy minister for Alberta Environment and Parks, said the area has been hotly contested for decades and polarized opinions exist about how it should be managed in the future. "The proposal that's put forward right now largely doesn't change the type of use people can see in those areas," he said. "It heightens the level of legislated protection for them." 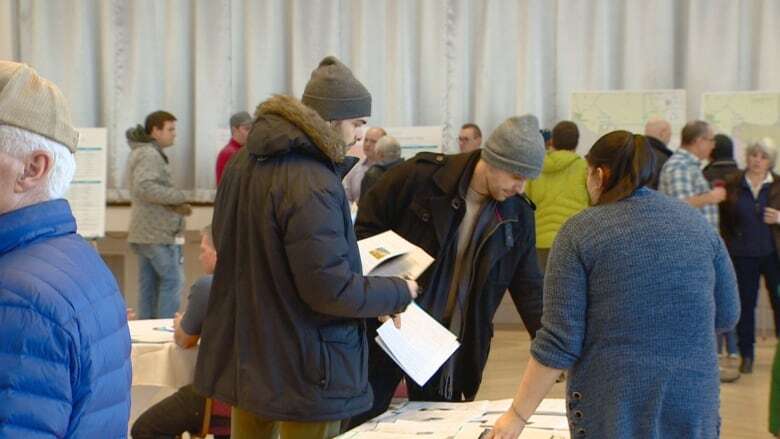 The Polish Hall in Edmonton was packed as hundreds of people came through to look over the plans and talk with government representatives stationed alongside poster boards. The $40 million plan would create four provincial parks, four provincial recreation areas and a new public land-use zone area. The land is currently managed under six public land-use zones. The designation sets out how the land can be used for industry and recreation, such as keeping vehicles on designated trails. But it offers little to no protections against mining or forestry industry in the area, said Chris Smith, a former conservation officer in the Bighorn region, who now works with the Canadian Parks and Wilderness Society. Nearly 90 per cent of the flow from the North Saskatchewan River, Edmonton's sole water supply, comes from the Bighorn region. The land in Bighorn acts as a sponge and releases the water slowly over time, Smith said. The area is also home to animals like grizzly bears and bighorn sheep, along with highly vulnerable bull trout populations. Smith said the added protections of a provincial park would help protect the area for future generations. "We're not confident that if this plan doesn't go through that those protections will stay," he said. The proposal said the government will honour existing industry activities in the parks, from grazing leases to mining. But a policy introduced in the 1980s has left most of the eastern slopes untouched by development. The majority of coal and mineral resources in the area are within an existing public land-use-zone. 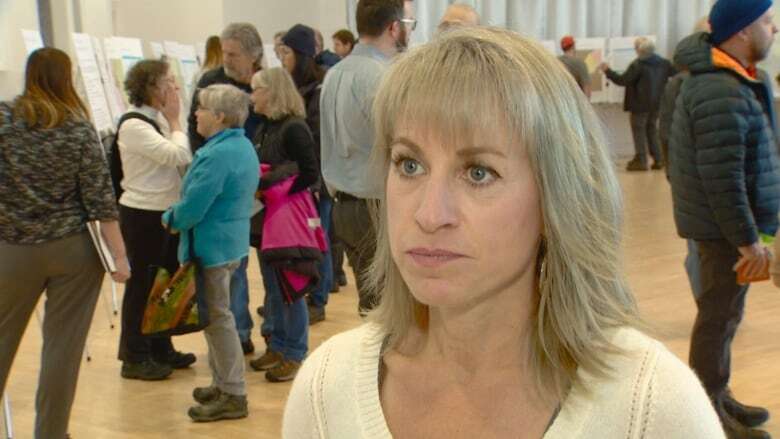 Sandi Feth was less optimistic about the future under the government's proposed plan. She lives west of Stony Plain and goes camping on horseback in a secluded area west of Sundre. The camp site, maintained by a local non-profit, is on the grounds of the proposed Ya Ha Tinda Provincial Park. Feth said she's concerned developing the area as a full campsite could make it unsafe to take her horses there. "There's hundreds of places that people can go in the province and have a campground that's developed, and drive in and be comfortable," she said. "We want to reserve the special places in the back country for people who really want to be with nature." At a December consultation session in Rocky Mountain House, some locals said they were worried off-highway vehicle trails that are maintained by local groups would be jeopardized under the plan. They were skeptical of the province's promise to maintain those trails, after the government backpedaled on the same commitment when it created Castle Provincial Park. In January, Environment Minister Shannon Phillips said allegations of bullying and harassment prompted the cancellation of four public information sessions in Drayton Valley, Edmonton, Red Deer and Sundre. Days later, Phillips said the meetings would be rescheduled, after the cancellations were met with an outcry of disappointment. The penultimate information session will take place in Red Deer on Sunday, just three days after locals organized a protest there against the plan. The last information session is scheduled for Monday in Sundre. An online survey on the proposal closes on Feb. 15.